Fresh berry season is about to come to an end for the year, and what an epic season it’s been! If you still have the chance, it’s totally worth stocking up on some case prices of any local, organic berries, and if you have room, freeze them for the coming winter months so you can still enjoy awesome berry smoothies for the months you don’t have access to fresh local fruits. It’s also a way to support local farmers, get some good deals on case prices and lower your food bill in the long run. If you’re looking for some new raw food dessert recipes to make, definitely give this raw strawberry tart a try. This recipe is pretty easy to make, looks amazing, and taste phenomenal! For this raw strawberry tart recipe, you’ll need both a food processor (to process the base) and a high-powered blender (to blend the inner creamy filling.) When it comes to food processors, I recommend the cuisinart. I use and recommend the 14-cup Cuisinart Food Processor, but if this is too big to suite your needs and you’re looking for something smaller, consider the 7-cup Cuisinart Food Processor, it’s a smaller and more affordable model. 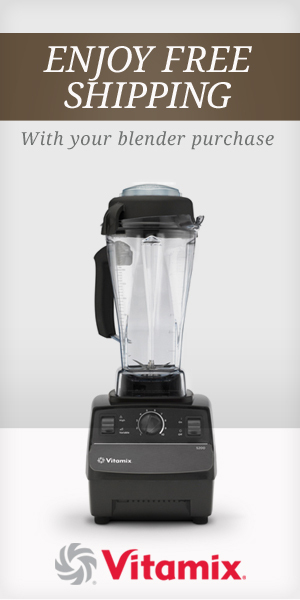 In terms of blenders, I’m a Vitamix fan all the way. I love my blender. I’ve recently just purchased another one, the wide base one and I love it. If you don’t have a good blender, it’s well worth the investment. I recommend the Deluxe edition by Vitamix – you won’t be disappointed! This tart recipe has two parts: the base and the inner creamy filling, topped with strawberry’s. You can use whatever berry topping you like, and there are also a couple of different options you can use for the inner filling, depending on what you have access to. For the base of this tart, it’s just like making a raw pie crust, except I use a muffin tin to mould it into the shape that I want, which is this little cup shape to hold the cream filling and fresh berries. 1/2 cup soaked organic almonds. (You can use any nut for the crust that you like. Some of my favorites are: macadamia nuts, brazil nuts and pecans or walnuts). They all have a unique taste, so try different nuts to see what you like best. Make sure not to over-process, you want the base to have some texture. You want to be able to squeeze the mix between your fingers and it should stick together pretty easily. 2. In a muffin tin, press the “pie crust” into the mould to shape the cup. 3. Place in the freezer to harden while making the inner cream filling. The very first time I made this strawberry tart recipe, I used coconut cream which was amazing. Not everyone lives in the tropics and has access to coconuts, so I made this one with hemp seeds and it turned out amazing. 3 tablespoons of freshly squeezed lemon or lime juice. Next you’ll want to slice up a few strawberries to use for the filling and the topping of the raw tarts. Take the tart base out of the freezer. They should still be in their muffin tray tin moulds at this point. They should also be firm enough that you can take a butter knife, work the edge, and then pop it out and place it on a plate or tray. Take the inner filling, (your filling should also be slightly on the thicker side and looking pretty creamy) and layer it inside the pie crust base, alternating with strawberries. Top the tart with a nice display of strawberries spread out like a fan. Place in the fridge to firm up for at least another 20 minutes. Want to learn how to make epic raw food desserts like this and have the experience of a lifetime, right here in Hawaii? Check out our raw food Hawaii Retreats! We host both private and group retreats.